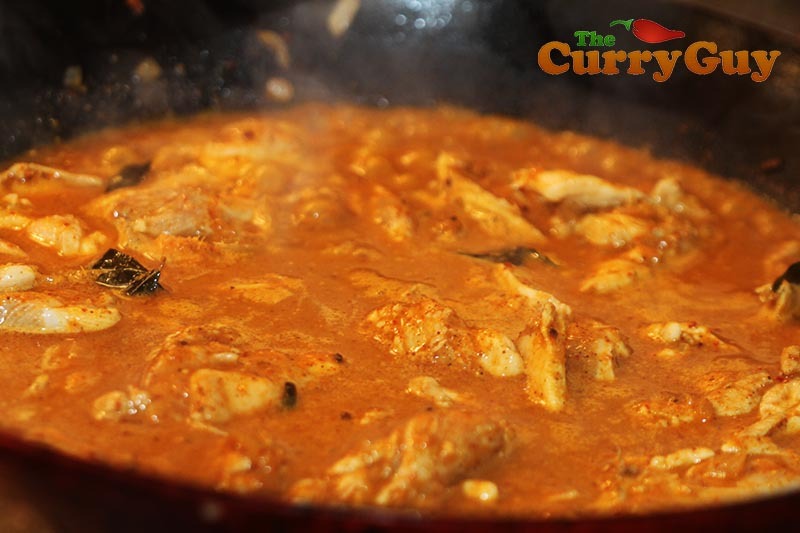 There are so many amazing flavours in this curry! 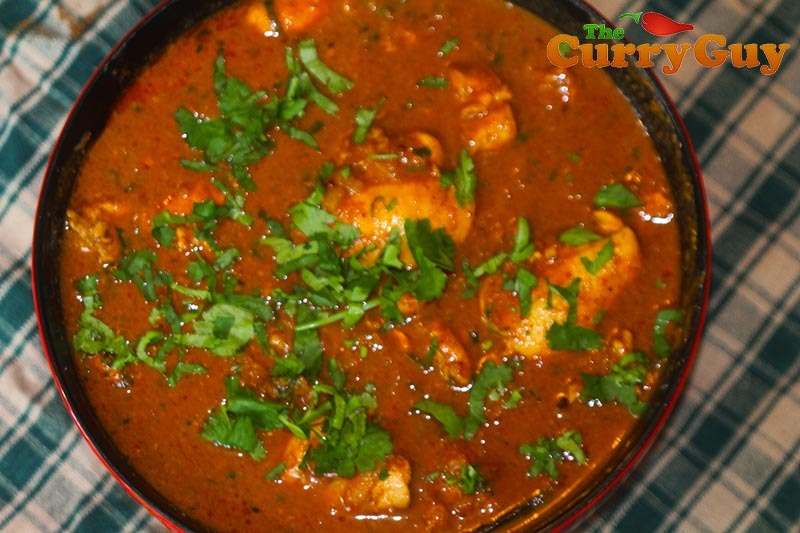 Chicken xaccuti is one of Goa’s most famous curries. There, it is usually cooked with skinned chicken on the bone. You can do this too for even better flavour but it is also messier to eat. Xaccuti is known for being spicy and for it subtle flavour of nutmeg and star anise. 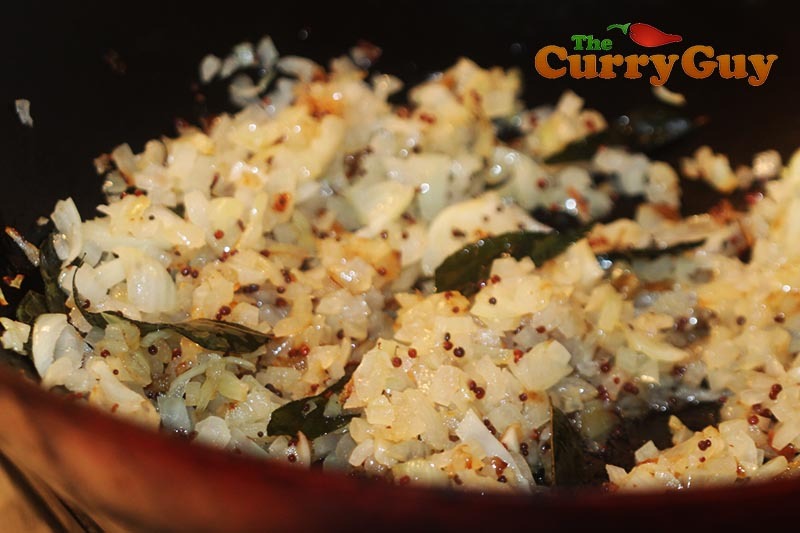 There is so much delicious flavour in this one, a side dish of plain white rice is all you need for the perfect dinner. 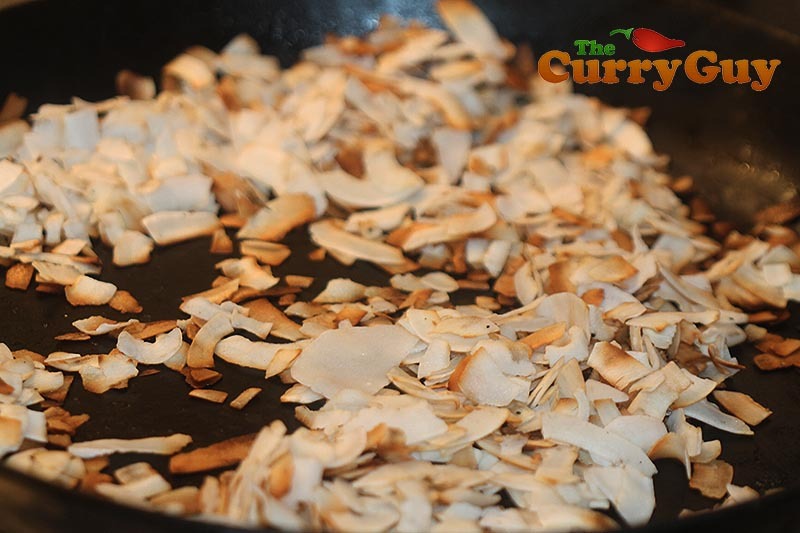 Roast the coconut flakes separately to the spices as it browns quickly. Roast the spices and allow to cool, Then blend to a paste with the coconut and a little water or stock. Temper the mustard seeds and curry leave in the hot oil. Add the onions and fry until soft and translucent. Stir the xacutti paste into the onions and then add the stock, tamarind and chicken. Simmer until the chicken is cooked through and the sauce consistency is to your liking. Start by making the xaccuti masala. 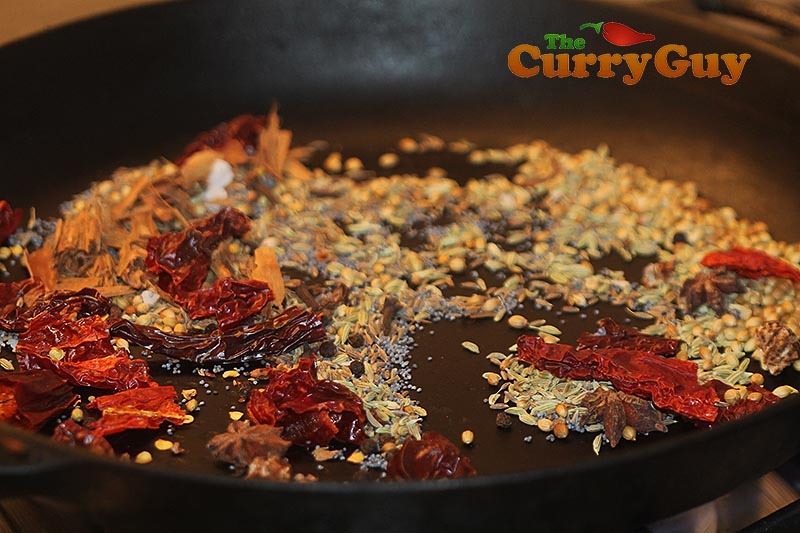 In a dry frying pan, roast the Kashmiri chillies, cumin seeds, coriander seeds, ajwain seeds, cloves, peppercorns, fennel seeds, poppy seeds, cinnamon stick and star anise over medium high heat until warm to the touch and fragrant. Allow to cool. .Now roast the coconut flakes until lightly browned. Set aside. 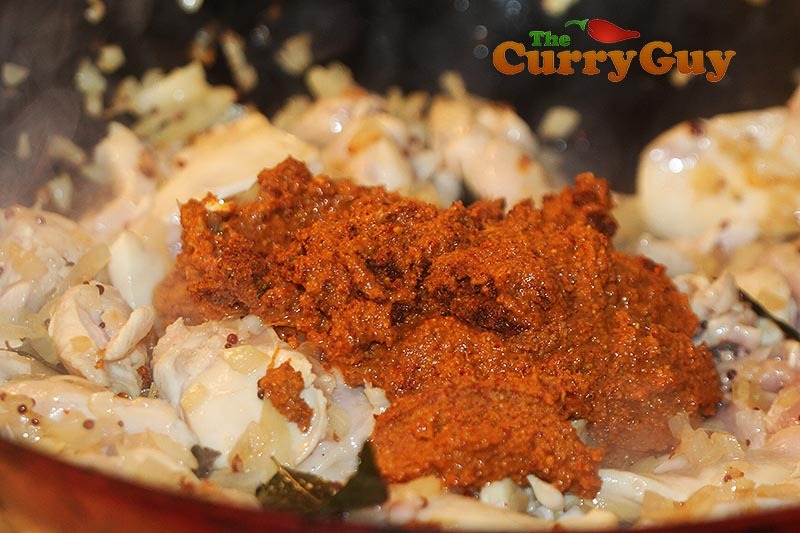 Blend the chillies, coconut flakes and the rest of the ingredients with a little water to make a paste. Pour this paste over the chicken in a large bowl and mix well to coat. You can start cooking the curry now but if you would like to marinate the chicken for a couple hours or overnight, it will be even better. When ready to cook, heat the oil over high heat. When bubbles begin to form at the bottom of the pan, add the mustard seeds. 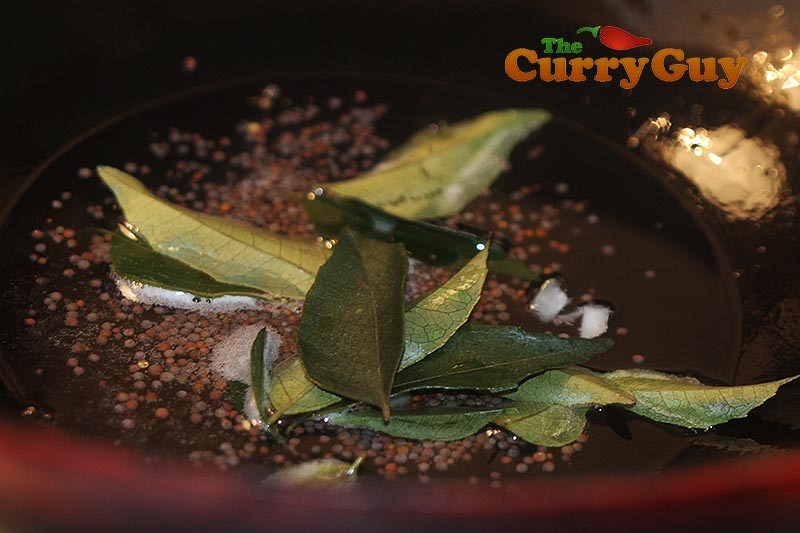 When they begin to pop, lower the temperature to medium high and stir in the curry leaves and let them flavour the oil for about 30 seconds. You’ll know when your oil is perfectly flavoured because it will smell so nice. Add the chopped onions and fry until soft, lightly browned and translucent. Stir in the chillies and then the marinated chicken. Stir well to coat the chicken in the onion mixture. Add the stock or water and simmer for about 15 minutes until the chicken is tender and cooked through. Stir in the tamarind concentrate and nutmeg and then taste it. For a sourer flavour, add more tamarind. Nutmeg can taste quite strong to some but add more if you like. To serve, stir in the chopped coriander and add salt to taste. Thank you very much Dave! Creamed coconut works fine! I really want to try this recipe Dan, but looking at the ingredients of the Xacutti paste it says to use 1tsp of black peppercorns (approx 35), this seems a lot, so why not a teaspoon of ground black pepper? I think there will be a lot less than 35 peppercorns in a teaspoon but then it depends on how large they are! Looking forward to the new Low Fat book and the Vegetarian one too next year. Thank you very much. Definitely tone the recipe down to your tastes. If you think less pepper will be better, do that. You can always add more to taste in the end. Great tasting recipe. I used bone in chicken thighs. With the quantities given there is enough gravy to use about 750 grams of chicken. Next I want to try making this with eggs or fish instead of chicken. Thanks Mark! I usually make it with chicken on the bone too. When I was in Goa, I tried a shark xacutti which was amazing. Thinking about trying it here with swordfish as shark is a bit difficult to come by.